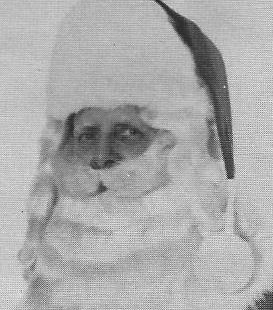 George Cond is best known as the man who portrayed Santa Claus at Charles W. Howard’s Christmas Park in Albion, New York. A student of Howard’s Santa Claus School, Cond assumed the role of Santa at Christmas Park in late 1950s and continued until the close of the park in 1966. With Howard busy as the Executive Director and away on business during the Christmas Season, Cond handled most of the day-to-day Santa appearances throughout the park. He appeared in and around the Western New York State region on behalf of Christmas Park. Cond also modeled Santa Claus suits for the Santa Claus Suit and Equipment Company owner Elizabeth W. Babcock in the 1970s and 1980s. Cond continued to make special Santa appearances to local families and events through the 1990s.